Sony Ericsson planning to take on the iPhone with a gaming/phone combo? Once again reports are surfacing about Sony challenging the iPhone with a combo gaming/phone device. Yahoo is reporting that as early as next month, the Japanese consumer electronics firm will put together a team that will try to merge the gaming functions of a PSP with the mobile phone capabilities of a Sony Ericsson cellphone. Software companies like Square Enix and Capcom are turning their attention to making games for the iPhone as the latter device attempts to make a wave in mobile gaming. The Japanese-Swedish joint venture might decide a gaming phone could blunt the iPhone's attack on the PSP's territory while pushing a Sony Ericsson cellphone into the highest level of the smartphone market, something that the Xperia X1 failed to do, and challenge models like the iPhone 3GS, Palm Pre and the BlackBerry Storm. Sony has so far declined to comment on the report. that phone is like the size of a brick lol. (even tho ik of course it's not the final product) but i wouldn't buy it; i like my psp and sony ericsson w580i thee way it is; seperate. --just my opinion. I think thats just the concept, if it is a little thinner than it looks that form factor will be a modest success. so what b_adams is saying is that he loves to carry two devices if one of the devices is small. 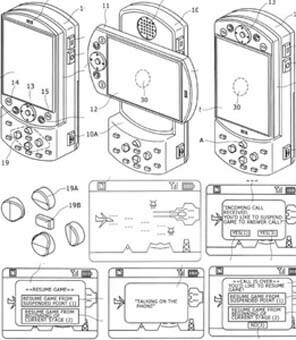 why not make the psp go (the one with the slider) & add phone function. isnt wifi enable already?